One of the most influential journalists who contributed enormously to the understanding of the true facts and issues of the Middle East and the Palestine conflict, passed away this week. Ambassador Andrew Ivy Killgore, a veteran American diplomat moved by the injustices he witnessed to publish the Washington Report on Middle East Affairs, died at age 91. Ambassador Andrew Ivy Killgore, the co-founder of the American Educational Trust (AET) and publisher of the nation’s premier publication on Middle East and American Arab issues, the Washington Report on Middle East Affairs, died Tuesday Dec. 20, 2016 in Washington D.C.
Killgore’s magazine, with a tight but strong staff of full and part-time writers, shattered the glass wall of ignorance that surrounded the minds of Americans on issues of the Middle East, and shed a bright light on the injustices of American Middle East policies. For more than 35 years, the Washington Report on Middle East Affairs has been essential reading for the nation’s most sophisticated populace. WRMEA readers have relied on the magazine for the most comprehensive, analytical coverage of news from the Middle East, Muslim countries, Europe, and the United States available. With articles focusing on politics, arts, business, culture, travel and religion, readers trust the Washington Report on Middle East Affairs, for its integrity. It is this influence that makes this magazine the most effective vehicle an advertiser can find. The magazine boasted a verified circulation of more than 40,000 copies and a total readership of more than 100,000, making it one of the most influential publications to challenge the biases, bigotry and politically partisan coverage of the American mainstream news media. It’s readers included the nation’s top business executives, senior government officials, including every member of the U.S. Congress and Canadian members of parliament, influential American and Arab American journalists, radio and talk show hosts, businesses, entrepreneurs, religious leaders, individuals and everyday American households. Ambassador Andrew Killgore, co-founder of the American Educational Trust and publisher of the Washington Report on Middle East Affairs. The magazine published eight times each year and was distributed through 800 bookstores nationwide, making it one of the most accepted pro-Arab Middle East focused publications in America. Major booksellers, including Borders Books and Music, Barnes & Noble, Tower Records and Books, Waldenbooks, and B. Dalton carry the magazine. Killgore was a former United States Foreign Service Officer and diplomat. He was ambassador of the United States to Qatar when he retired from the U.S. Foreign Service in 1980. Born on November 7, 1919, in Greensboro, Alabama, Killgore received a B.S. from Livingston College in 1943 and an LL.B. from the University of Alabama in 1949. He served in the U.S. Navy from 1943 to 1946. Killgore served as a selector-analyst for the U.S. Displaced Persons Commission in 1949 and 1950 and as a displaced populations officer in Frankfort in 1950 and 1951. From 1951 to 1953, he was visa officer in London, and from 1953 to 1955 he was an evaluator at the State Department. In 1955-56 Killgore took Arab language training at the Foreign Service Institute, and in 1956 and 1957 he served as political officer in Beirut. From 1957 to 1959, he was political officer in Jerusalem, and from 1959 to 1961, he was political officer in Amman. In 1961 and 1962, Killgore was an international relations officer at the State Department. From 1962 to 1965, he was officer-in-charge of Iraq-Jordan affairs. From 1965 to 1967, he was detailed as a public affairs officer to USIA in Baghdad. Killgore was political officer in Dacca from 1967 to 1970 and political-economic officer for the Arab North Directorate, Jordan Affairs, at the State Department from 1970 to 1972. From 1972 to 1974, he was counselor for political affairs in Tehran. In 1974 he was principal officer in Manama, and from 1974 to 1976 he was deputy chief of mission in Wellington. The American Educationa Trust founding chairman was Edward Firth Henderson, a British Army Officer during World War II who served in Europe, North Africa and the Middle East. Co-founders included Killgore, who served as AET’s first president, and Richard H. Curtiss, AET’s first executive director, who was chief inspector of the U.S. Information Agency when he retired from the U.S. Foreign Service in 1980. In addition to the three founding directors, Henderson, Killgore and Curtiss, other initial directors of the American Educational Trust were Prof. John Ruedy, former director of studies at Georgetown University’s Center for Contemporary Arab Studies; former Democratic Member of Congress Thomas Rees of Los Angeles; John Law, Middle East correspondent for U.S. News & World Report for some 20 years before he founded Mideast Markets, a publication of the Chase Manhattan Bank; and Dr. John Duke Anthony, president and chief executive officer of the National Council on U.S. Arab Relations. Subsequent board chairmen have included Dr. John Davies, former U.S. Assistant Secretary of Agriculture and director of the United Nations Relief and Works Agency (UNRWA), the Reverend Dr. L. Humphrey Walz, former associate executive of the Presbyterian synod of the Northeast, and Henrietta Fanner, who has spent much of her life working for peace. The editorial staff of the magazine is headed by Janet McMahon and Delinda Curtiss Hanley, the daughter of Mr. Curtiss. I had a chance to meet Ambassador Killgore during one of my many visits to Washington D.C. His magazine and the magazine staff were icons of American Arab and Middle East journalism. If there were ever a Newseum in Washington that included a history of American Arab and Middle East journalism, it is the Washington Report. The magazine appeared one day while I was in my early days as a journalist when American Arabs had no real icons or role models to help cut the path through the bigotry and biases of Americas anti-Arab journalism and mainstream news media. That first issue appeared in 1982 and it was mind blowing to finally read information that directly challenged the lies and distortions published about the Arab World and especially about the Palestinian people. I was covering Chicago City Hall for a community newspaper, and the following year would joint he staff of a major Chicago Daily newspaper, the Chicago Sun-Times. The Washington Report was an essential resource for accurate information and a beacon of how journalism should conduct itself. It was so inspiring when it finally arrived. Ambassador Killgore will certainly be missed, but the impact he and his colleagues have had in challenging the inaccurate stereotypes of Arabs and Muslims, and the vigilance to offer readers a more accurate understanding of the Middle East conflict is immeasurable. Here is the press release from the Washington Report. Our condolences to the staff of the magazine and Ambassador Killgore’s family. Retired U.S. Ambassador Andrew I. Killgore, publisher of the Washington Report on Middle East Affairs, died Dec. 20, 2016 in a Washington, DC hospice at the age of 97. Killgore was the president and a co-founder of the American Educational Trust (AET), a non-profit organization founded in 1982 by retired U.S. Foreign Service Officers to provide the American public with balanced and accurate information concerning U.S. relations with Middle Eastern states. In addition to publishing the Washington Report on Middle East Affairs, a magazine with the largest circulation of any Middle East-related publication in North America, AET has published several books, runs the Middle East Books and More bookstore in Washington, DC, and for the last three years has co-sponsored a conference at the National Press Club on the Israel Lobby. Killgore was active in the organization until his death, and participated in the planning for next year’s conference, to be held March 24, 2017. Ambassador Killgore wrote extensively for the Washington Report on Middle East Affairs, particularly on the Persian Gulf states, the Israeli-Palestinian dispute, and the Lockerbie bombing. He appeared many times on national radio and television to discuss U.S. Middle East policy and the history of the Israel-Palestinian conflict, and Iranian-Arab relations. A native of Alabama, Ambassador Killgore received a B.S. from the Livingston University (now the University of West Alabama) and a J.D. from the University of Alabama School of Law in 1949 after serving in the 7th Fleet of the United States Navy during World War II. He served as a member of the U.S. Displaced Persons Commission in post-war Germany. In 1950 he joined the Department of State as a Foreign Service Officer and served in Frankfurt, London, Beirut, Jerusalem, Amman, Baghdad, Dhaka, Tehran, Bahrain, and New Zealand. He served as a desk officer in other Near East and South Asia regional bureau positions in the State Department in Washington, DC before being appointed U.S. ambassador to Qatar in 1977. Following his retirement in 1980, he devoted his time to publishing the Washington Report on Middle East Affairs, and speaking to civic and community activism organizations, as well as universities. He also served as president of the Musa Alami boys town foundation of Jericho, was a board member of American Near East Refugee Aid, co-founder and board member for one year of the Council for the National Interest in Washington, DC, and a board member of If Americans Knew. Since the founding of the American Educational Trust in 1982, its magazine, the Washington Report on Middle East Affairs, has received an award from the national Association of Arab Americans (NAAA) in 1993. For his work as its publisher, Ambassador Killgore received awards from the American-Arab Anti-Discrimination Committee (ADC) in 1992, from the Council for the National Interest (CNI) and Partners for Peace in 1993, from the United Muslims of America and the Islamic Association for Palestine in North America in 1994, from the Jerusalem Fund for Education and Community Development and the Center for Policy Analysis on Palestine in 1995, and the National Council on U.S.-Arab Relations (NCUSAR) in 2012. Ambassador Killgore also received the “Foreign Service Cup” in 1997, awarded to a retired foreign service officer annually who is selected on a competitive basis by the nation-wide membership of Diplomatic and Consular Officers, Retired (DACOR). For impressive contributions to increased awareness and understanding of the Middle East and the many dimensions of United States’ interests in the area. His service took him from Western Europe to South Asia and beyond to the South Pacific, but it is particularly in seven Middle East posts that he acquired a deep knowledge of the complex, controversial and challenging problems of the region. His service culminated in the Emirate of Qatar as U.S. ambassador. In 1982 he became co-founder of the American Educational Trust, established in pursuit of broader knowledge and understanding of the problems of this area. This led to the publication of a periodic newsletter, the Washington Report on Middle East Affairs, with very few subscribers initially. Now it has 30,000 more than the combined circulation of all other monthly magazines that focus on the region. Remarkable as the circulation figures are, so too are the perseverance and the courage he has shown in consistently promoting peace in the area based on U.N. Security Council Resolution 242. In the process, he has made it possible for a wide variety of views to be represented, even though they may be disputed, as is so much of what happens in the region. It is not surprising, therefore, that the includes accounts of events which much of the rest of the media have been reluctant to cover. 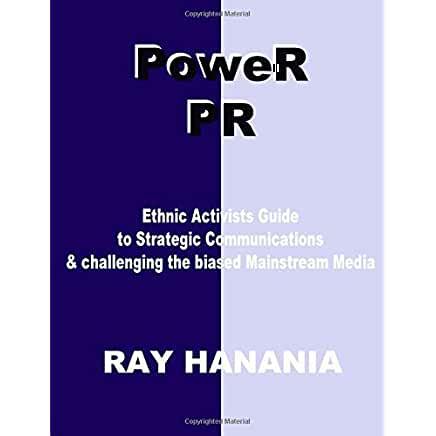 In addition, he has been a frequent participant in radio and television programs as well as a speaker in demand for civic groups and university audiences. Ambassador Killgore was pre-deceased by his wife, Marjorie, and daughter Beth Krieger. He is survived by his children Andrew N. Killgore, Dr. Jane Killgore and Roberta K. McInerny, and five grandchildren. Click here to donate to the American Educational Trust, to help publish the Washington Report on Middle East Affairs and to support our bookstore, <www.middleeastbooks.com>. Click here to donate to the tax-deductible AET Library Endowment (Federal ID #52-1460362) to help distribute the magazine to libraries, universities, clerics, members of media, Congress, etc. Help the Washington Report on Middle East Affairs reach new readers. Click here to help publish, print and mail the magazine and to make sure our bookstore, MiddleEastBooks.com, continues to have the latest books, DVDs, and Palestinian handicrafts. Not a subscriber? Click here to sign up for either a print subscription ($29) or for a digital subscription ($10). (A print subscription entitles you to both.) If you’d rather not subscribe online, you can contact our subscription office by telephone: (888) 881-5861; mail: American Educational Trust, PO Box 91056, Long Beach, CA 90809-1056; or e-mail circulation@wrmea.org. Are you having a conference, panel discussion, protest or candidates’ night? Order extra copies of this issue or past issues by e-mailing multiplecopies@wrmea.org. Ask for multiple copies to hand out at your event (donations to cover shipping and printing are welcome but not required). E-mail your street address, date of your event (please give us 10 days notice) and the number of copies you need to: multiplecopies@wrmea.org We welcome contributions to help defray shipping and printing costs, but we’re happy to send extra issues for free. Just give us a street address, an event date and the number of copies you’d like. THIS POST HAS BEEN READ 4778 TIMES SO FAR. THANK YOU!